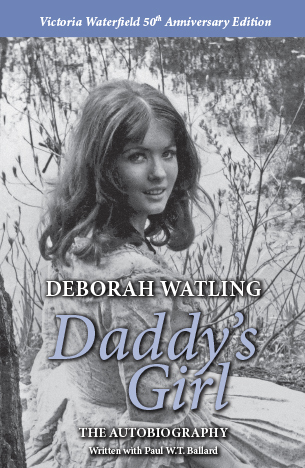 Note: The autobiography of Deborah Watling, best known of course for playing the Second Doctor's companion Victoria Waterfield from 1967-1968. Also available is a photo supplement and an audio reading. From her early success in series such as The Invisible Man, The Power Game and Out of the Unknown, through to her iconic role as Victoria Waterfield in Doctor Who, film roles opposite Cliff Richard and David Essex, and the notorious Naughty Norma in Danger UXB, Deborah has endeared herself to a broad spectrum of fans. For the first time, in her own words, Deborah recalls the highs and lows of working on stage and in front of the camera with behind the scenes personal struggles, and reminisces about working with a whole variety of famous acting names including the late and much-missed Patrick Troughton. Note: Limited edition of 200 signed copies. Note: Re-release in a new cover to mark 50 years since Deborah Watling's debut in Doctor Who. Originally available only from the Fantom website but released to Amazon and other retailers in Sep 2017. Note: Limited edition of 100 copies. Was only available from the Fantom Films website, in a bundle with Daddy's Girl: In Pictures and an exclusive pack of The Abominable Snowman location postcards.